It’s usually not a coincidence when a company goes back to its roots, which is hardly a surprise in BlackBerry’s case. Even amidst its current malaise, BlackBerry’s image is still centered around security, and so, its latest smartphone pushes that narrative. The DTEK50 is arguably the device the company should have launched first to kick off its full-fledged foray into Android. The Priv is a high-end product that has proven a hard sell to consumers who have a much narrower vision of the top of the smartphone food chain. This device is in the mid-range, where competition is more crowded and offers better visibility. That implies the DTEK50 is somehow more airtight than the Priv, but it’s not. Naming the phone after the security software by the same name is a means to an end, though most curious consumers wouldn’t make that connection. 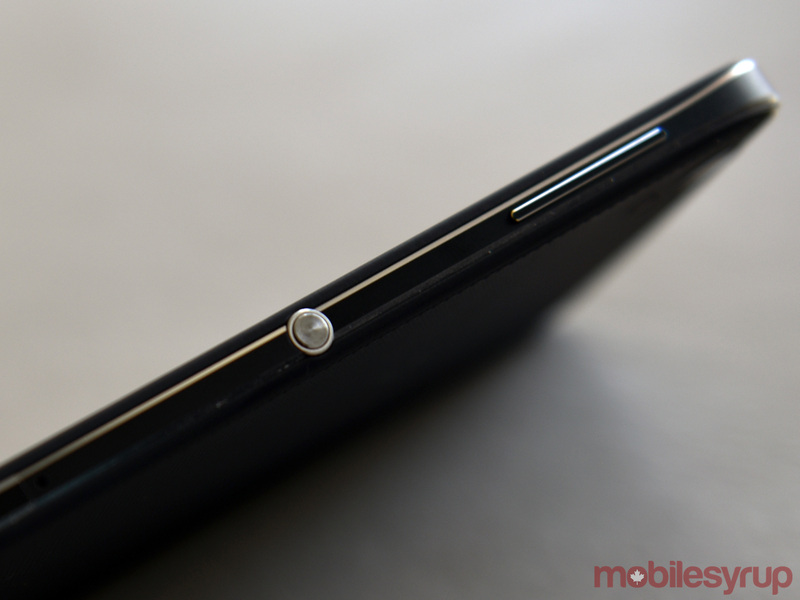 The Priv is no less secure, since the security BlackBerry is referring to is layered over Android Marshmallow. It’s fair to say that BlackBerry is targeting fleets and businesses with this device, an angle the company seems to take by default given its current irrelevance in the wider consumer space. But that’s not really the point, either. 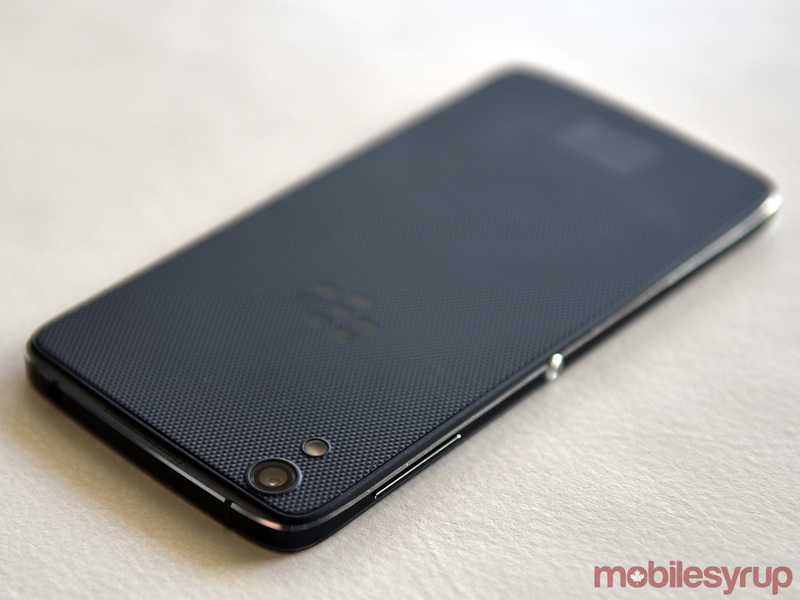 In its current state, BlackBerry will sell its devices to anyone willing to buy them. After all, CEO John Chen has given until the end of this year for the hardware division to prove its viability. The mid-range specs are not going to surprise anyone because they essentially mirror those of the Idol 4. A Snapdragon 617 processor with 3GB of RAM and 16GB of internal storage — pretty standard for a smartphone at this level. The phone’s design doesn’t deviate much from Alcatel’s, with the exception of the plastic textured back that gives the phone a good grip. There’s a round button on the side in the middle that acts as a “convenience key” for quick launching an app or task, though I can imagine some users might mistake it as the power button. Incidentally, it can be programmed to act as one, but I preferred to use it to launch BlackBerry Hub. Naturally, there is no physical keyboard present on the DTEK50, putting the spotlight on the virtual one instead. This is fitting, considering the focus here. There’s a redundancy with the DTEK50 that can be viewed from two vantage points. One is the fact BlackBerry’s security software overlaps with the security features included in Marshmallow. The other is that the same software already has certain alternatives available through Google Play. If there’s an argument for its presence, it’s that the DTEK app centralizes security elements in a way that’s easy to understand for any user. 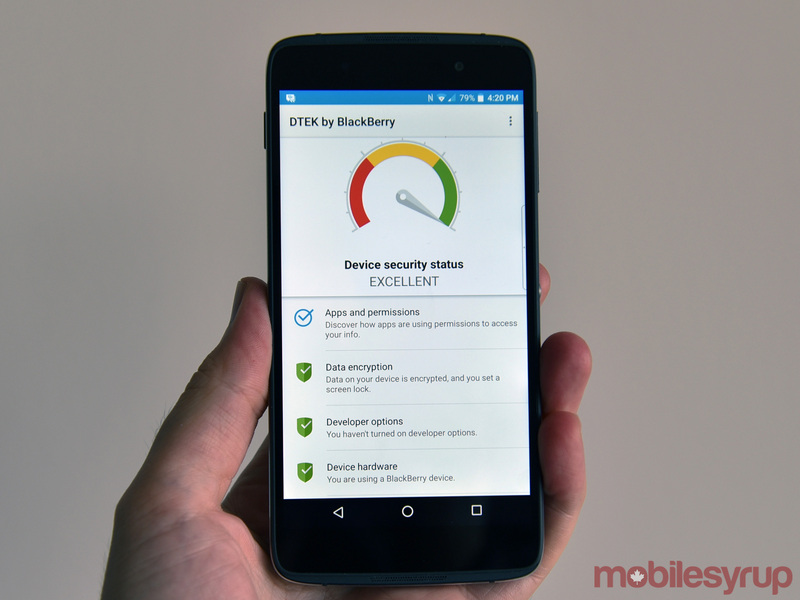 Like the Priv, BlackBerry will time its own updates to coincide with Google’s monthly Android security releases, so the DTEK50 will fall in line. The resulting synergy and approach is to highlight security while making it both visible and low-key at the same time. Average users probably don’t think about security that much, even though they should. The DTEK app is exactly the same as it is on the Priv, only this device is set up to cover more bases by default, taking most of the load off the user. There are no real surprises for the tech-savvy crowd — they would know how to lock the same doors one way or another. Hence, security isn’t enough to pique people’s interest, so usability becomes a key factor in how this phone stands out. 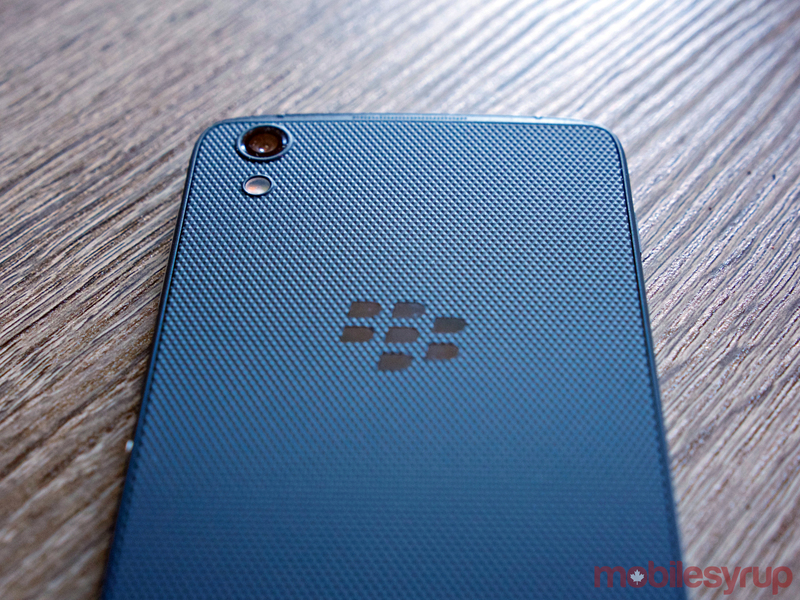 BlackBerry talks a lot about its software and services these days, making it a reasonable expectation that the company’s own flavour could and should be prominent on the device. All of BlackBerry’s apps are elective, allowing users to completely ignore them if they so choose. But it’s hard to if they work well enough. One of the newer additions is Hub+, a software suite that is technically under trial for the first 30 days. It’s $0.99 per month thereafter. 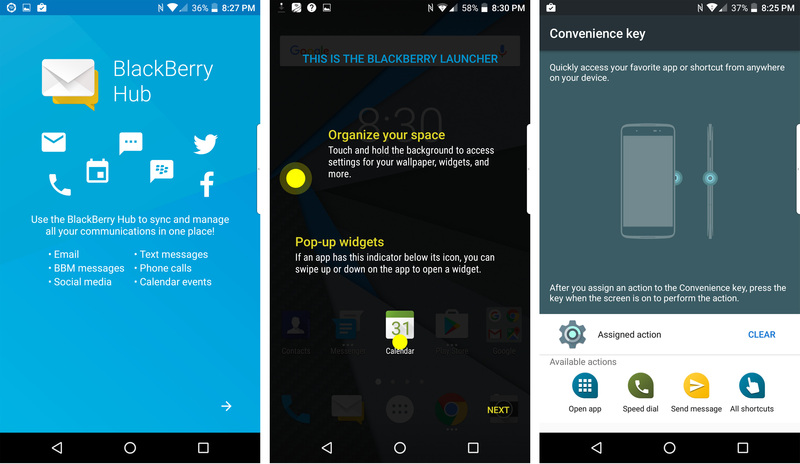 The suite includes the Hub, Calendar, Password Keeper, Device Search, Tasks and Launcher — basically all things BlackBerry. These apps are already included for free on the DTEK 50, but other Android Marshmallow users can download the suite as long as they’re willing to pay the $1 per month subscription or put up with in-app ads. 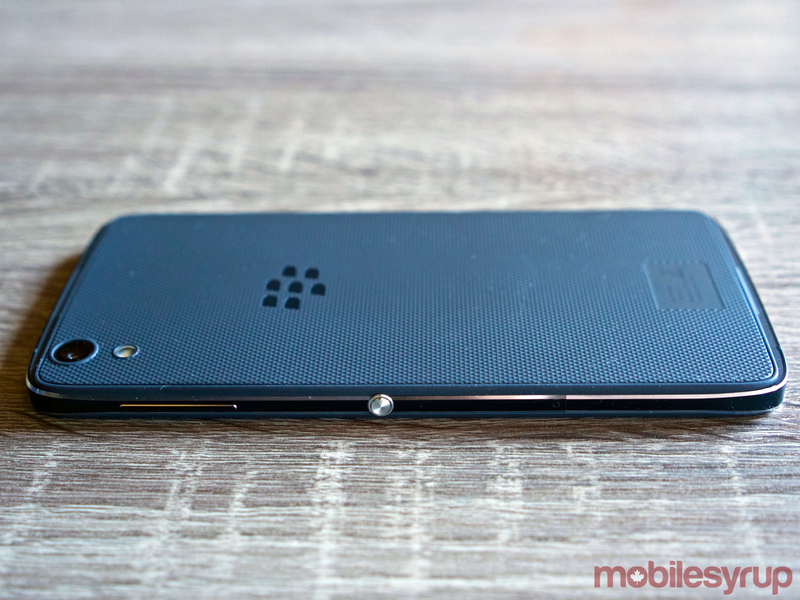 The Productivity Tab slides in from the side like it does on the Priv, only there is naturally no edged display here. It’s highly responsive and useful, especially for a quick look at the calendar. I grew to like the app preview function on the home screen. Three white dots underneath an app icon indicate the function is available, showing a widget of what’s open for quicker access. It’s not quite as slick as Apple’s preview on iOS, but it’s still good. True enough, software is a big part of the story around this phone, except the hardware it runs on needs to keep things smooth. The DTEK50 has 3GB of RAM to help with that, though the Snapdragon 617 processor has been known to hiccup along the way. It tended to happen most often when playing games or going from one streaming video app to another. There was no real predictive pattern, just a slow transition that was noticeable from time to time. Otherwise, the phone is more than serviceable. The screen is nice, call quality is excellent, the onboard speakers decently loud and the size and weight more than adequate. A 2610mAh battery is fairly small by today’s standards, and the DTEK50 offers reasonable, but not excellent, life per charge. Having Quick Charge 2.0 helps fill the gap, taking about 50 minutes to get the phone back up to 50 percent — exactly as BlackBerry claims. BlackBerry smartly added a manual mode to its camera app, while also trying to improve the overall image quality of its photos. It couldn’t really impact the latter because it’s obviously using someone else’s hardware, but at least in adding the chance to better control composition, better images can be taken. Mid-range camera performance has improved significantly in only the last 12-18 months, placing more of an onus on this phone to deliver a competitive shooter. While I haven’t tested or shot with the Alcatel Idol 4, I can imagine some of the images would look very similar between the two devices. Daylight always produces the best results, despite looking a little muted. Night and low-light settings challenge the camera, and predictably, auto mode cranks up the ISO and lowers the shutter speed to bring in more light. The result is a viewable image that has plenty of noise in the darkest shadows. 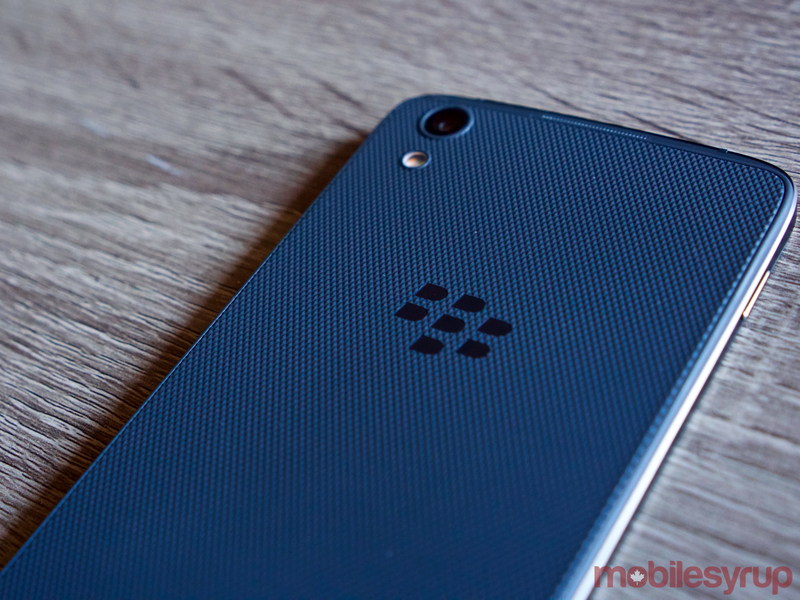 What’s interesting is that the results aren’t a far cry from those produced by the Priv. Despite superior specs, that phone didn’t have a manual mode initially, and shooting with it in auto produced decent photos, but hardly anything exemplary. The DTEK50 doesn’t need to be elite, but does need to be good enough to be a serious competitor in its class. The manual mode helps the camera shoot better, but a wider aperture would have likely helped a great deal in shooting better low-light shots than others in the same price range could. Manual mode has controls for ISO, shutter speed, exposure, white balance and manual focus, with sliders for easy adjustments on the fly. What was sometimes frustrating in using it was the delay in seeing the effect of an adjustment in real-time. I could change the shutter speed and there would be a delay in showing me what the image would look like. This created more of a problem in cases where I didn’t have a lot of time to snap a photo, thereby making me guess or shoot in Auto just to make sure I had something. 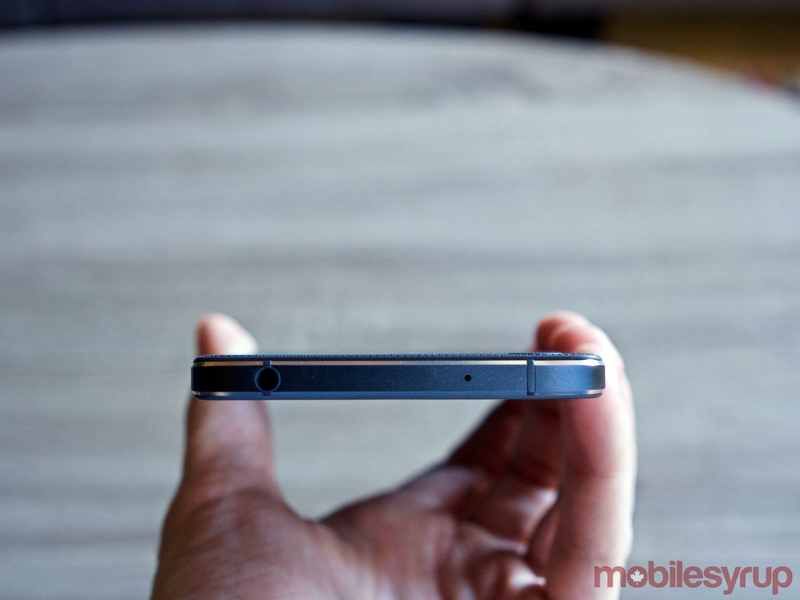 When talking about BlackBerry devices, hindsight is always part of the conversation. Yet again, it’s easy to see how the DTEK50 may have been more impactful had it been released as far back as 2014. A mid-range Android phone like this would have been an interesting choice for consumers priced out of the premium market, and in turn, helped the company’s sagging hardware division. This device isn’t a BlackBerry saviour any more than the Priv was. Like it’s larger Android-based sibling, it enters a tight, saturated market that consists of more than a few mid-range devices vying for hard-earned dollars.